There was a time when Dubai was just vast plains of barren desert land. But that time was long ago. Today Dubai boasts of magnificent and breath taking modern architecture, a hub of technological and creative innovations. But despite their quest for progress, Dubai hasn’t forgotten its cultural roots. This royal Emirate, where the desert spans until eternity, and beautiful buildings blend with the night sky to conjure up a stunning skyline, is beauty personified. 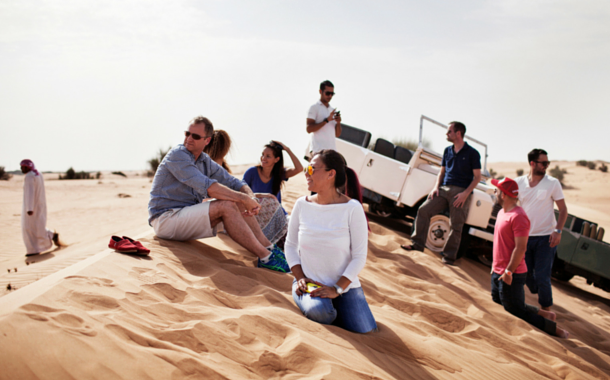 The desert safari is a roaring example of Dubai’s tryst with both modernity and ancient culture. Come with me on a journey and I’ll show you how. The journey begins with a pick up from your desired location, following which you embark on a scenic journey across Dubai. The picturesque landscapes on the way will make you realise that the quote ‘It’s about the journey, not the destination’ was made for this. But once you do reach your destination, a thrilling adventure awaits you. Dune buggies, i.e monstrous SUVs, await to give you the ride of a life time. Helming the ride is a very carefree but highly skilled driver who’s job is to dash the desert dunes so that you find your head bobbing from side to side, and teeny tiny butterflies making your stomach their new garden. 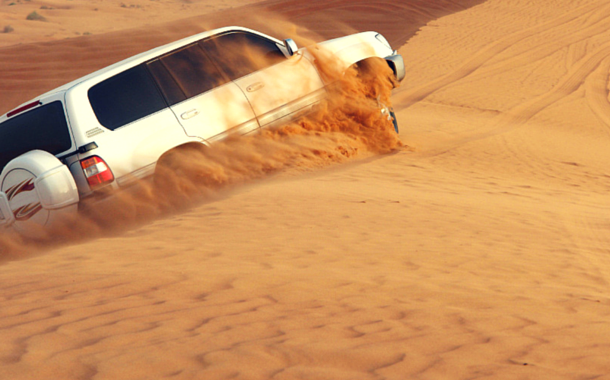 Roller coasters are a thing of the past, dune bashing is the new kid on the block. Dune bashing isn’t the only fun activity. You can satisfy your lifelong dream of being a teenage punk, rolling around town on your skateboard, with some sand boarding. Exactly as it sounds, you get to skateboard down a small sand dune, provided you make the journey all the way down without losing balance and falling face first. In case that does happen, the soft sand will be waiting for you. 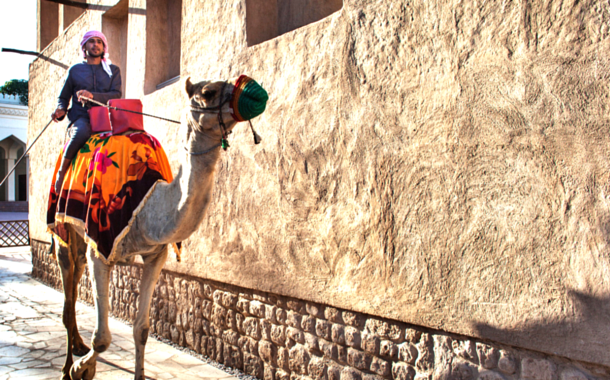 Camels and deserts are almost synonymous with each other; so it shouldn’t come as a surprise that you can also enjoy a camel ride here. But if you are surprised, here’s something more to keep that excited expression on your face, you can even try your hand at a dune buggy ride. Is that an excited gasp I hear? More or less a treasure trove, actually more of a tent and less of a trove. Right in the middle of the desert you can find mesmerising Arabic culture. A night of belly dancing, the traditional Tanoura show, delicious kebabs, henna panting and even the chance to take a selfie with a falcon, all can be found in this treasure tent. Take it from someone who’s been there, it’s a night you’re going to remember for a long time to come. Some thrilling fun, an Arabic night under the glittering night stars and over all entertainment. Where else can you find all this in one place? So what are you waiting for? This blog post is done, so get your Dubai Visa, book your flight tickets and set off to Dubai with our Dubai tour packages. Stop reading, start travelling.